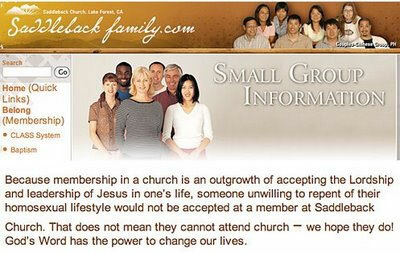 Pastor Rick Warren has censored his website to remove the information above. This screen capture was done on Friday. This "page" is no longer available. Tsk tsk. Embarrassed are we?